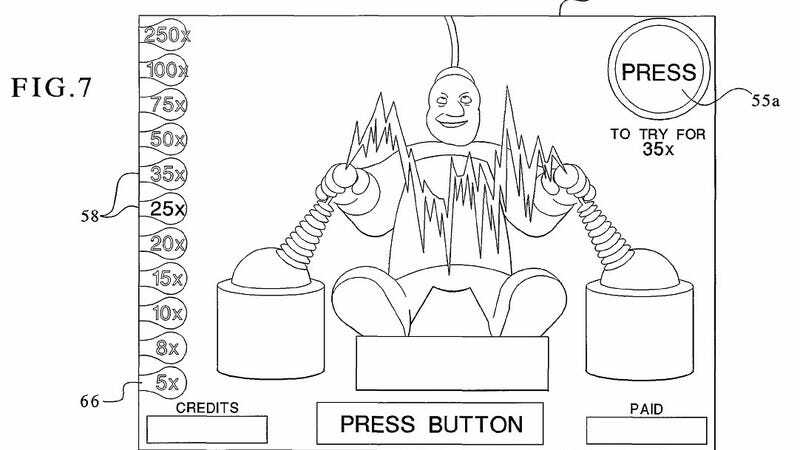 The deal with Context-Free Patent Art is that it takes the weird flowcharts and bizarre drawings from the patents submitted by various companies and designers and throws them up on the web with no explanation about what you’re seeing. So glad that no one's actually getting electrocuted. And, yes, the image below is definitely from one of the Donkey Kong Country games. But which one? What detail does it portray? Is a mechanic that got cut from the game or one that made it in? And this Game Boy diagram looks like some kind of biometric pre-cursor to the missing-on-action Wii Vitality Sensor. Whatever happened to that thing? And this last one? Man, I just don’t know.